What’s your love language? 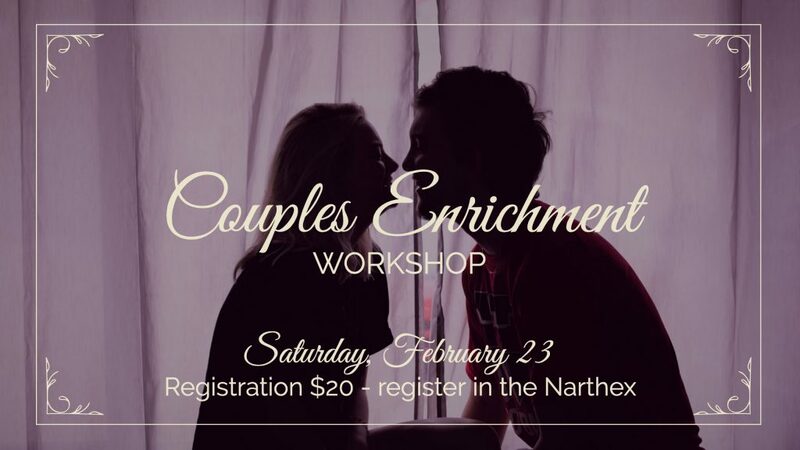 Join us at Kingsport Community Church for a Couples Enrichment Workshop where we’ll share our joys and struggles of our relationships. You’ll see how other couples relate to each other, the problems they face, and how they solve those problems. Focusing on the 5 love languages, we’ll go through The 5 Love Languages workbook. There will be games, discussion, and a meal. Couple Enrichment is for committed couples to help nurture their relationships and improve communication skills with one another. Events are conducted in an atmosphere of trust and respect. The workshop is more of a discussion format but feel free to talk or not as you feel comfortable. We’ll work together for a commitment to growth and to sharing the joys and struggles of their own relationships. Strict confidentiality is maintained. You can purchase tickets at the church office or by purchase on the day of the event, but you must RSVP first so we can prepare materials and food. Limit of 20 couples. $10 per person, $20 per couple. We’re sorry but registration is closed! Watch our Facebook page for our next couples event coming soon!